When you live in an area that experiences moderate changes in temperature season-to-season, such as Wisconsin, it’s essential to have reliable home heating and cooling. If you’re looking for a better alternative to having a central air conditioner and a furnace, Guelzow Heating & Air Conditioning Service recommends investing in heat pumps. As a leading heating contractor in Wisconsin Rapids, WI, this team explains that heat pumps can offer incredible benefits in cost and comfort. But to understand the benefits that this dual heating and cooling solution can offer, it’s important to understand the basics of how the system works. Powered by electricity, heat pumps use a two-part system that transfers hot air between the inside and outside of the home. In the winter, a condenser and compressor unit on the outside of your home pulls heat out of the exterior air. Even when it’s cold, there’s enough heat energy in the air to create warmth. This hot air is sent into your home through the air handler, which may push it directly into the space or through a ducted system. When you need cool air in the summer, heat pumps use the same process, but in an opposite fashion. They pull hot air out of your home to cool the air. 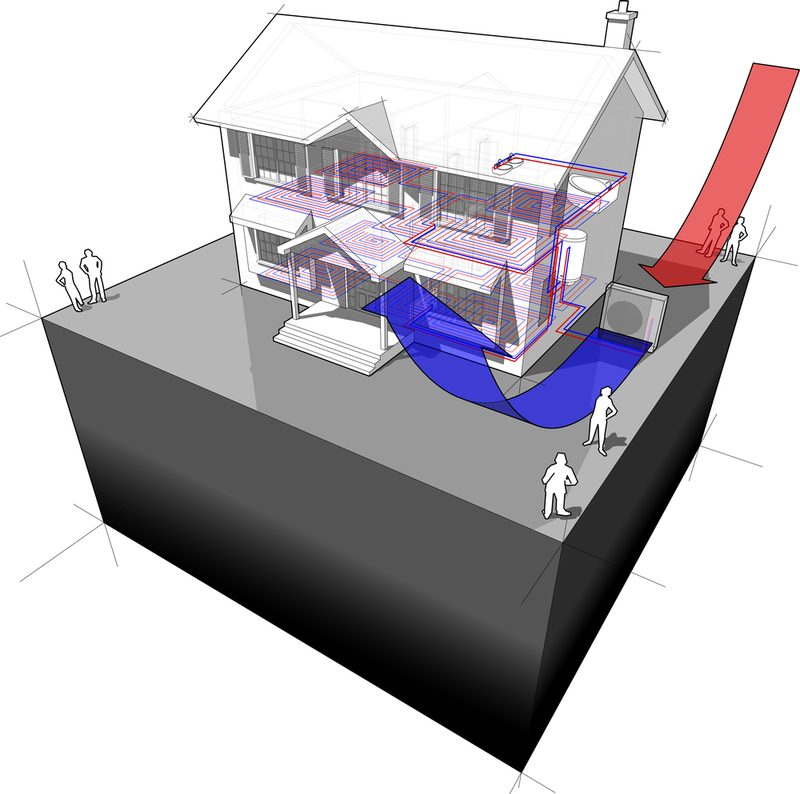 Why Should You Use Heat Pumps? Since heat pumps can both heat and cool, many homeowners prefer to use them as a single resource for climate control. Due to their innovative heat transfer ability, heat pumps are much more energy-efficient than other alternatives. As a result, you can reduce your environmental impact—and your energy bills—by having heat pumps installed. If you’re tired of having to pay for AC or furnace repairs every season, a heat pump can save you from the headache by simplifying maintenance needs. With routine maintenance, heat pumps can last 20 years or longer. Are you ready to experience the incredible efficiency of heat pumps? Guelzow Heating & Air Conditioning Service offers affordable heat pump installation and repairs in Wisconsin Rapids, WI. To schedule service or request rates, contact this heating contractor at (715) 423-1086.